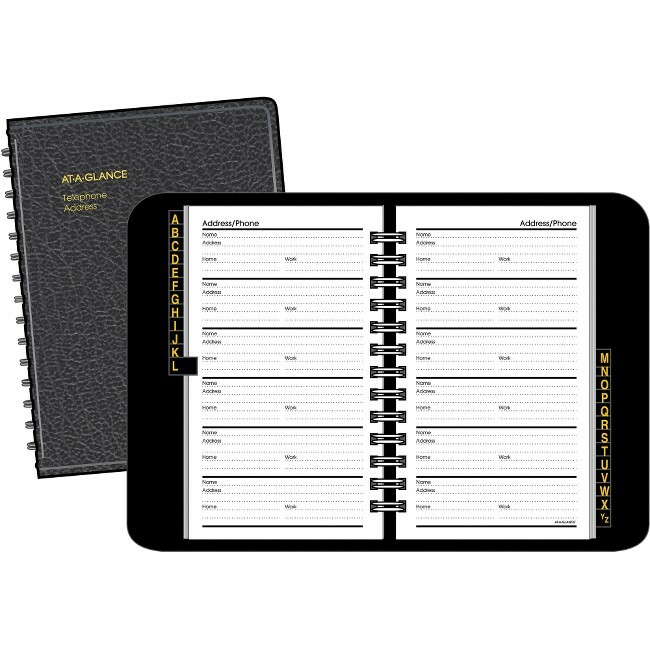 Telephone/address book keeps all of your important addresses and phone numbers in one convenient location. Each entry offers space for name, address and phone numbers (home and work). 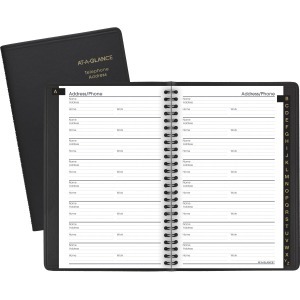 Telephone/address book has room for 800 entries organized by A-Z tab indexing. 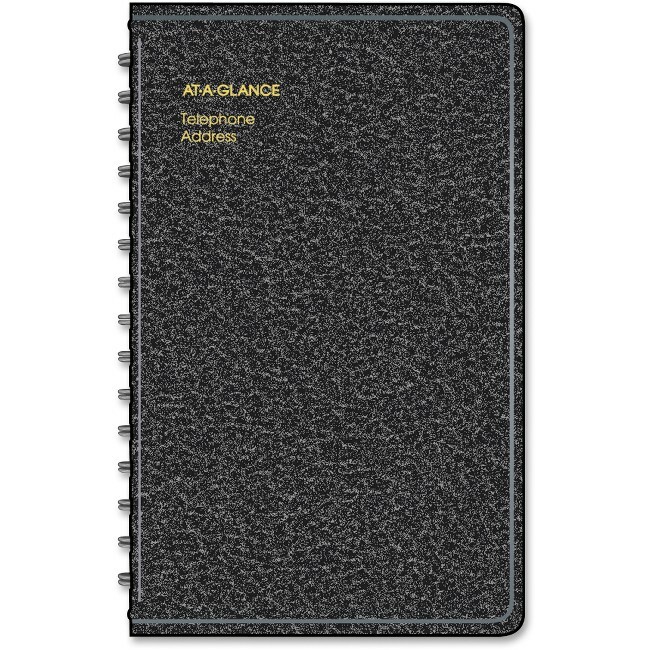 Nonrefillable, wirebound cover is made of flexible simulated leather.